A Nokia for the masses! And not the 3310. Risen from the ashes, the legendary Finnish brand makes a fresh start, "connecting people" the Android way. It's a nice sentiment for sure, but one that's mostly fueled by collective nostalgia over the Nokia golden age, back in the 90's. A good few years later, it's a new world out there - more competitive than ever before. Even with its affordable price tag, stylish exterior and credible pedigree, HMD's entry-level Nokia 3 is stepping into an oversaturated and very competitive budget niche. Is it ready to get bruised? Value is the name of the game nowadays and it's really tough to keep up with the likes of Moto, Xiaomi and Meizu selling at heavily discounted prices. 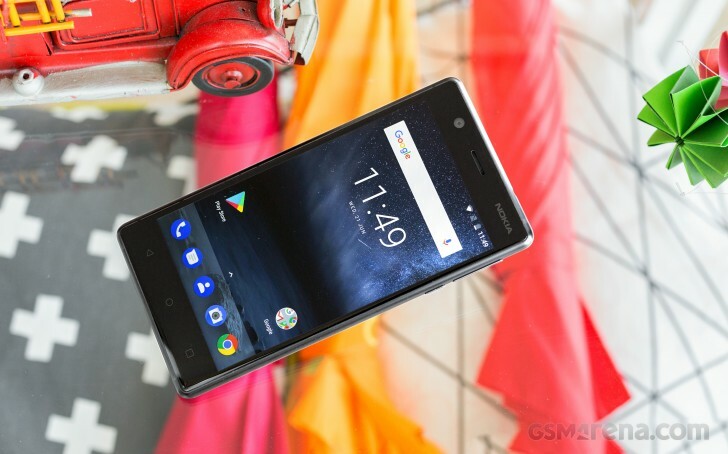 Maybe it's not surprising to see that in pure hardware terms, the Nokia 3 isn't even trying to punch above its weight class. Still, against all apparent reason, the Nokia 3310 (2017) seems to be selling surprisingly well, successfully monetizing a legendary name and flying off the shelves much quicker than its cheaper alternative, the Nokia 216. The Nokia 3 was born with the same proverbial "silver spoon" and given the right circumstances, could use it towards an even more impressive sales advantage. There we are, an Android-powered, Finnish-owned and Chinese-made Nokia. We wonder how many people will give the idea a thought: getting a Nokia after it was cool. Or even maybe (why not?) getting a Nokia before it's cool again? Whatever it is, we'll try to be fair to the handset and find out if the Nokia 3 is worth it, regardless of who else does what in a fickle smartphone market? Follow along on the next page, as we start our exploration with a hardware checkup of the Nokia 3. My selfie is nolonger working,can you help? nice phone with good look..